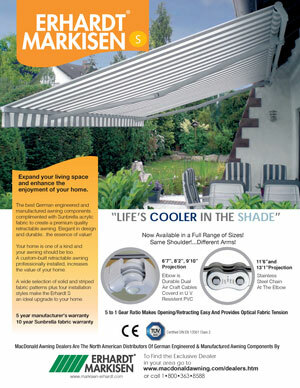 MacDonald Awning & Shade Products has manufactured German and Swedish engineered retractable awnings since 1979! 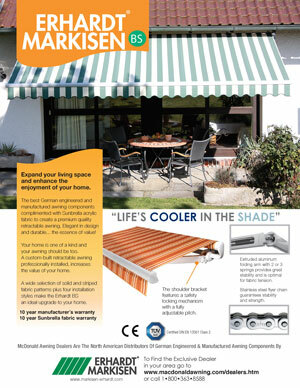 Exclusive authorized manufacturers of awning components from Erhardt–Markisen, Germany. In the municipalities of Waterloo, Wellington and Perth Ontario, MacDonald Awning & Shade Products services customers from the new showroom located at 3 Hoffman St., Kitchener. 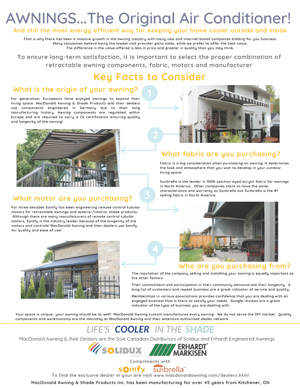 Customers in these areas are buying direct from the area’s only manufacturer of retractable awnings. 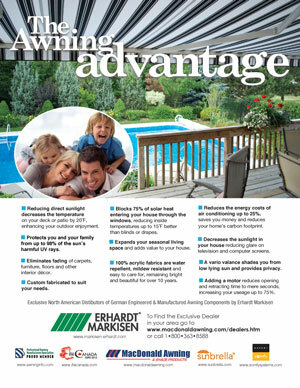 Your neighbours are our customers…ask them about our quality and service, and then call 519-579-3950. 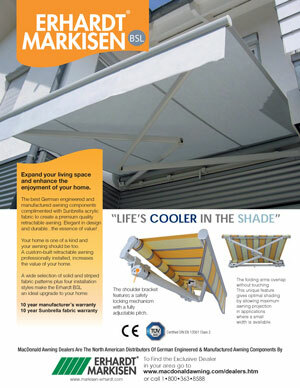 Throughout the rest of Ontario, Canada and The United States, components from Erhardt-Markisen manufactured by MacDonald Awning & Shade Products are available through a growing dealer network. 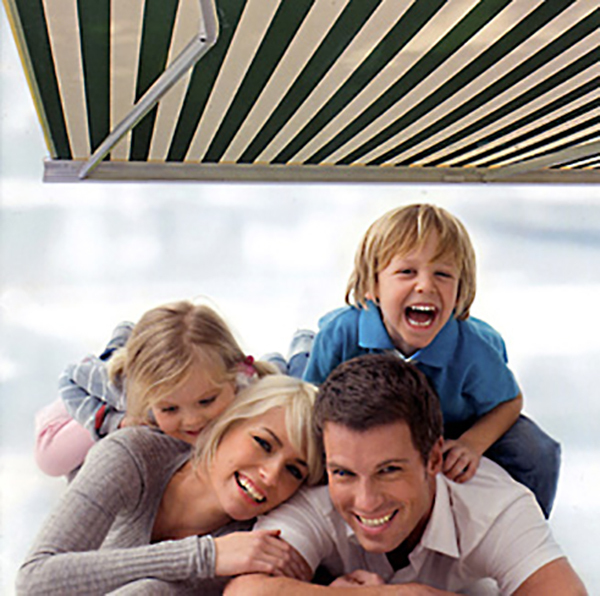 MacDonald Awning & Shade Products are proud members of the Professional Awning Manufacturers Association, the Industrial Fabric Association International, the Canadian Sign Association, the KW Chamber of Commerce, and the Better Business Bureau. We are recognized partners of Somfy motors and Sunbrella fabrics. Life’s Cooler in the Shade!